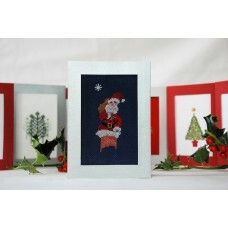 J needlecraft is a concept by Jane and Joy who are lifelong friends and cross stitch fanatics. "We couldn’t always find the kits we wanted to stitch and so decided to take matters into our own hands. And so was born J Needlecraft. - Our aim is to offer original designs, primarily designed by Jane and some from paintings by her late grandmother Alice"